Indiana INTERNnet offers resources to assist in creating and measuring success in your internship experience. Download one of our resource articles for helpful information, or download the forms below to evaluate your internship experience or internship program. This Internship Agreement is helpful in assuring that all parties involved in the internship experience are aware of goals and expectations. Student feedback is a valuable means for improving your internship program. 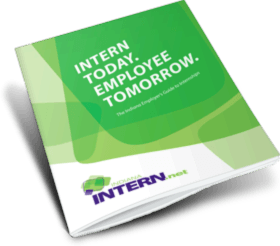 This form is a helpful guide for students to use in evaluating their internship experience. The form can be used as-is or customized to fit the needs of your organization. This form is a helpful guide for evaluating the performance of your intern. It can be used as-is or customized to fit the needs of your organization.